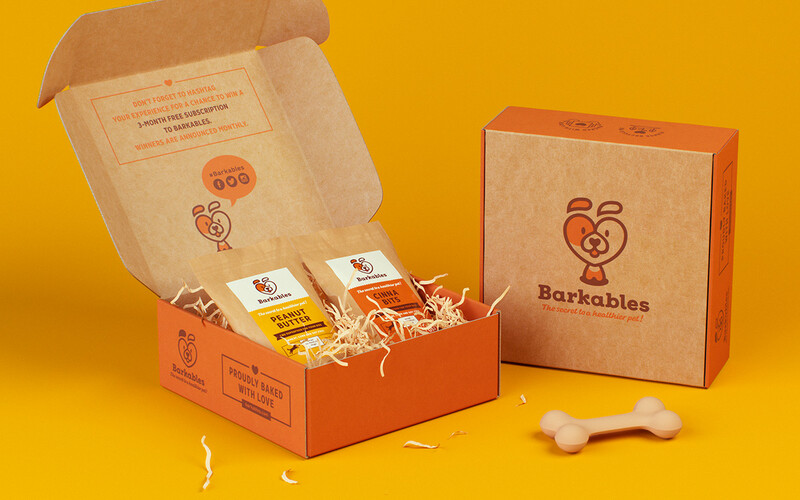 Barkables is a subscription box service which provides healthy treats for dogs to deliver every month. 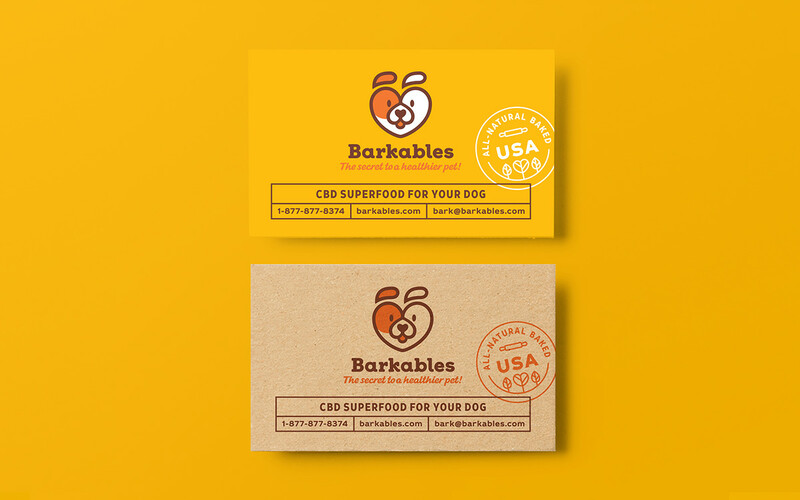 Their mission is to dramatically improve health and well being of dogs through usage of legal non-synthetic oils, extracted from the best quality hemp plants available today. The story of the brand had begun after company’s founder’s german shepherd recovered from serious illness by treating with these oils. 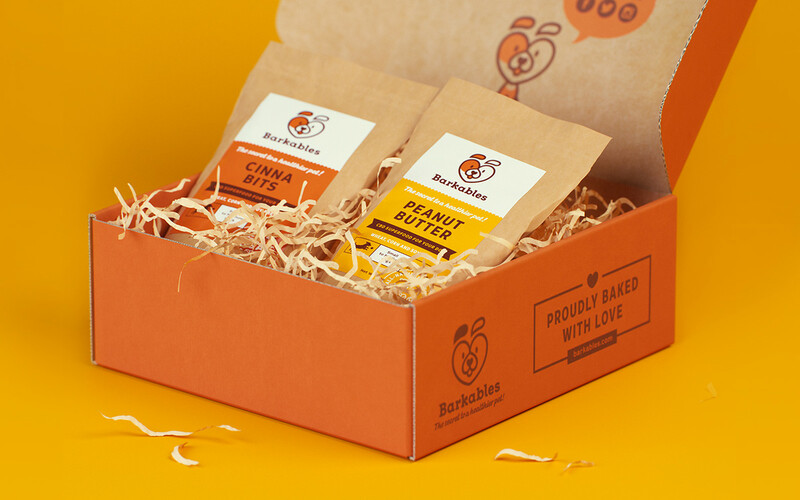 The brand was based on the boundless love to pets by their owners. We found that this is the essence that should be laid in the basis of brand communication. 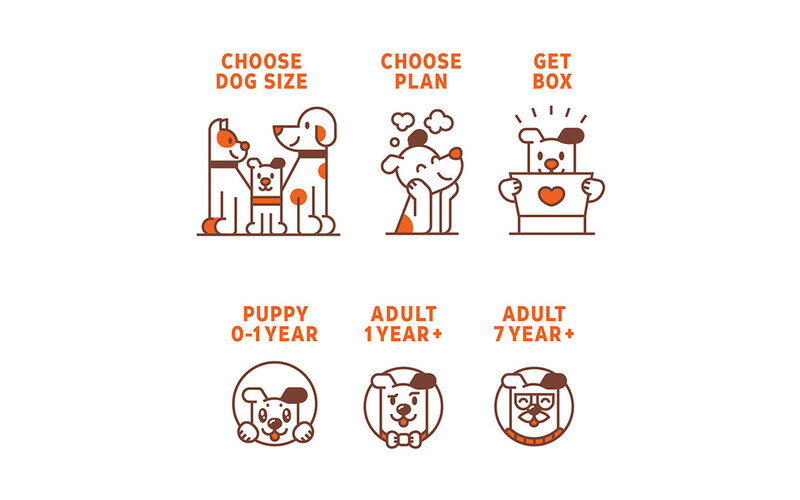 The dog face in the shape of heart has been established as a logo, and it also can be a funny character that appears on the brand items. 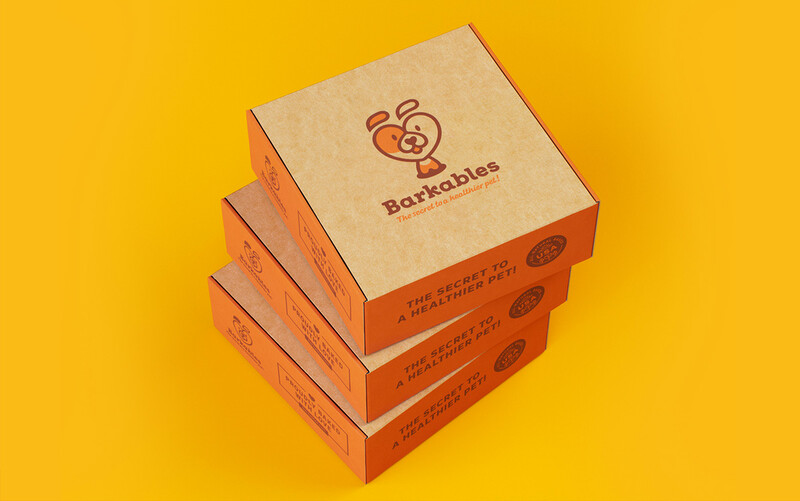 The Barkables is a subscription box service which provides healthy treats for dogs to deliver every month. 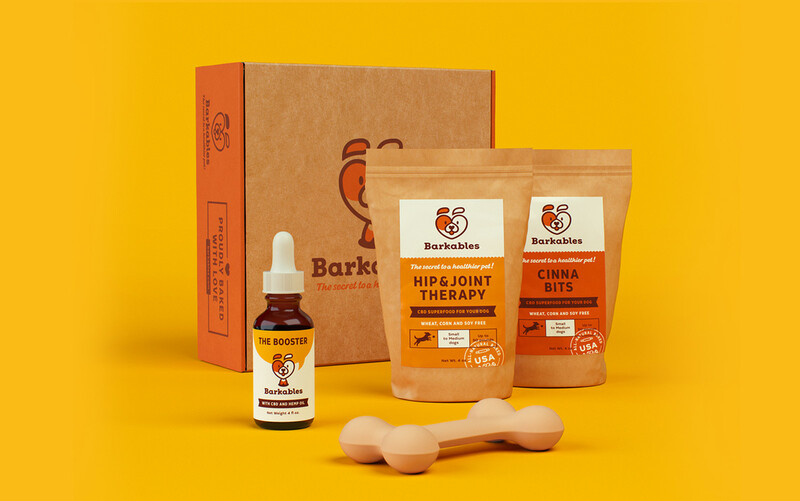 Their mission is to significantly improve the health and wellbeing of dogs through the use of legal non-synthetic oils, extracted from the best quality hemp plants available today. The story of the brand has begun after the company founder’s german shepherd recovered from a serious illness thanks to the treatment involving these oils. 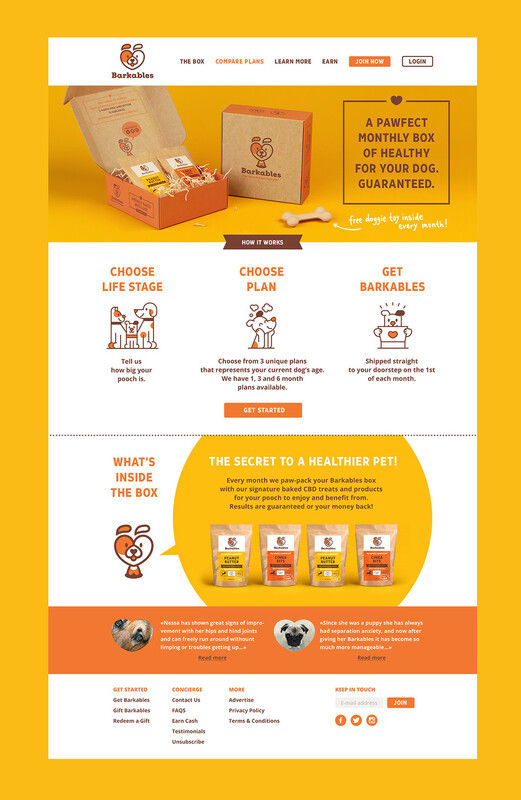 So the brand was based on the boundless love to the pets by their owners. And we thought that this very idea should become the basis of the brand communication. 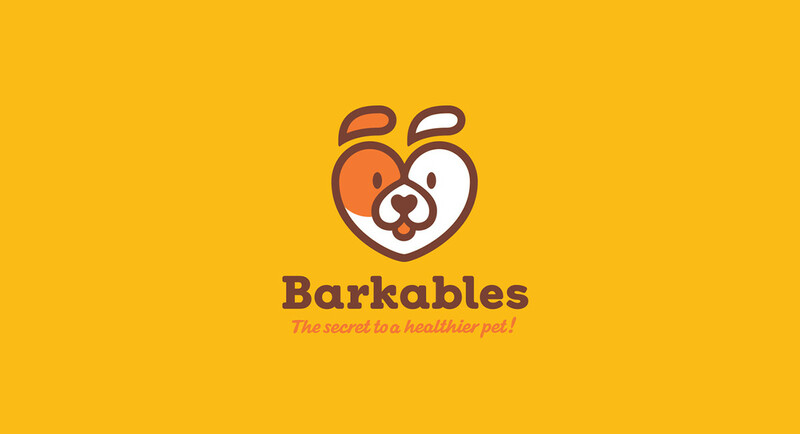 The dog face in the shape of heart has been established as a logo, and it can also be a funny character that appears on the brand items.